CJWinter offers custom solutions for your material forming needs. 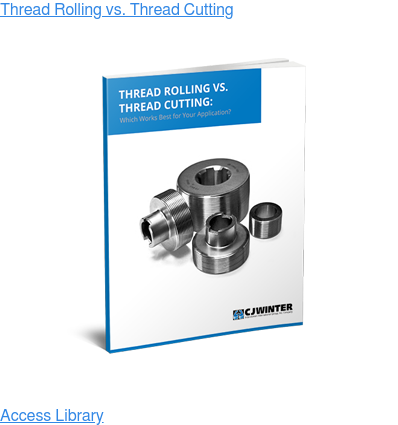 Find high-quality thread rolls that fit CJWinter attachments — plus attachments from major manufacturers including Reed, Fette, Landis and Detroit. 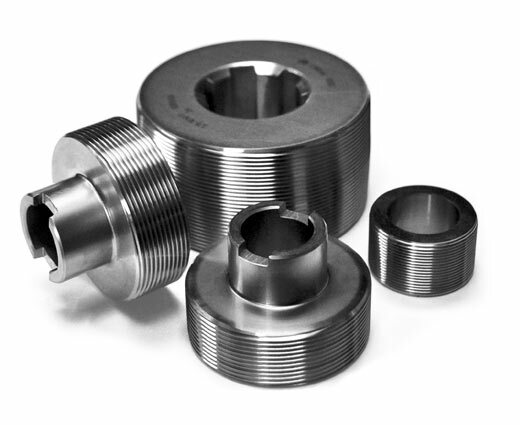 Check out our newly enhanced capabilities for Cylindrical Dies. 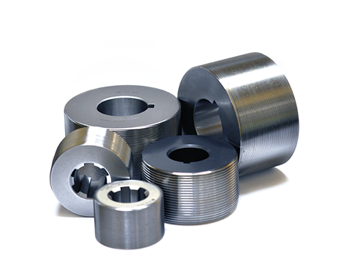 We now manufacture both Helical and Annular dies in various styles for your thread rolling machine, including Thru-Feed, Speed-Up, Plunge, and Slow-Up. 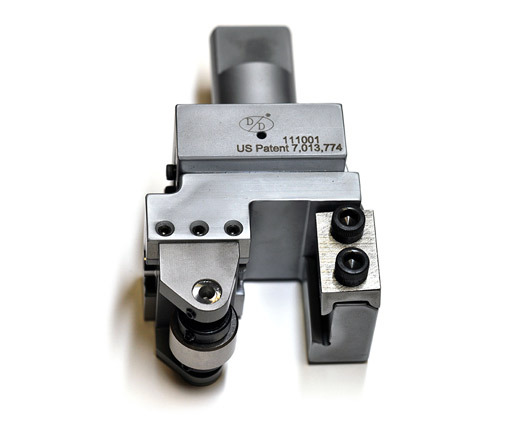 Innovative attachment designs deliver fast and easy setup and 100% complete interchangeability on replacement parts. 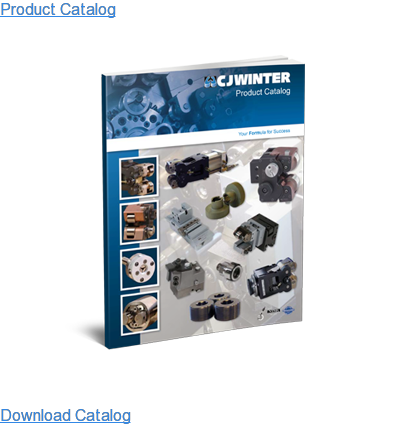 CJWinter provides a full range of cold root rolling attachments and wheels for your API, standard and proprietary tool joint connections. Use CJWinter's calculator tool to find your max & min pitch diameters and your recommended blank diameters. We ship 80% of our thread rolls in 24 hours. 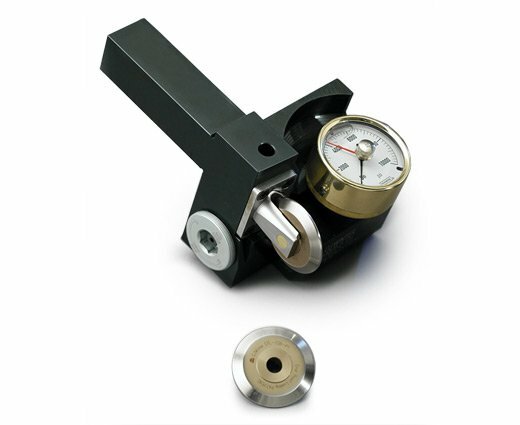 High-strength construction prolongs tool life and imparts improved surface finish. Get instant access to our team of highly qualified engineers. 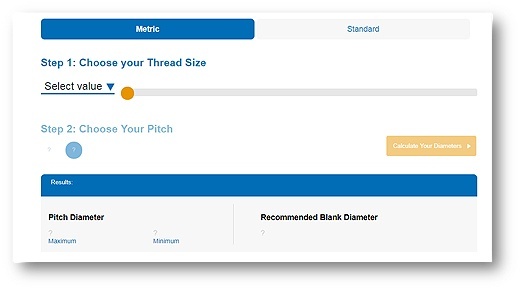 I was able to find all the thread rolling info I needed in order to complete a project for a new tool design on your website. Great source of information. Thank you for your service and great line of products! 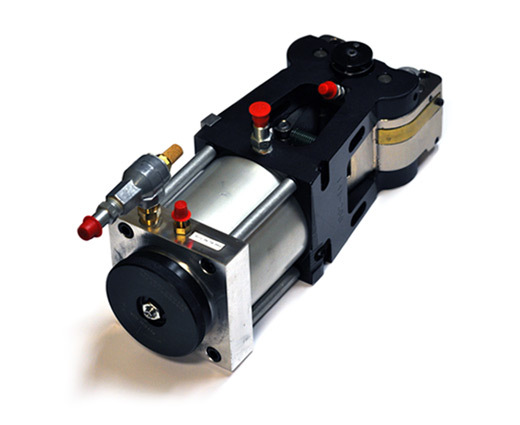 Thanks to CJWinter in developing the most effective API Threaded Connections, thread rolls, cold rolling tools and accessories where applicable — even as an optional requirement for API product specifications. The website is very helpful and informative. Also, whenever I've phone in for technical service, I have been extremely happy with the information and knowledge.